When I first started blogging I didn’t know what a linkie was but everyone seemed to be linking up to them! After a bit of research I found out that they were for bloggers to link their posts to for others to read and comment on. I like the community that linkies encourage. You link your post up and then go and support others by commenting and sharing their posts and visa versa. I sometimes find it hard to link up to lots of linkies due to time but I try and do certain ones weekly. If you are new to blogging and unsure where to start, here are my top 5. 1. Pick ‘n’ Mix Fridays – This linky is a new one and is run by the wonderful A Cornish Mum and Mummy & Monkeys. You can link up any type of post here. 2. The List – This is a favourite with many bloggers and is run by the very talented You Baby Me Mummy and Mums Days. As you can tell by the name, this linky is for list type posts. 3. Twinkly Tuesdays – This linky is a fabulous one run by the lovely ladies – Mumma Scribbles, The Twinkle Diaries and How Do You Do It? This is another one for any type of posts. 4. 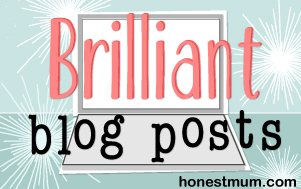 Brilliant Blog Posts – You will all have heard of the wonderful blogger Honest Mum I’m sure, if you haven’t go and check out her blog; it is inspirational. This is her linky for all sorts of posts. 5. 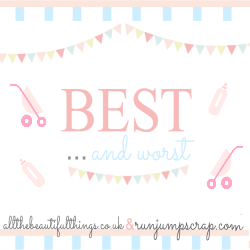 Best & Worst – This linky is run by the lovely ladies over at Run Jump Scrap and All The Beautiful Things. This linky is for your posts about wonderful things and terrible things – great for a good rant! So there we are, go and check some of these out. Linkies are a great way to structure your posts too. Also check out all the individual bloggers too as all of their blogs make for great reading! Do you have any favourite linkies if you are a blogger? great list…some of my favorites and two i don’t know about! Thank you for sharing!! Great list of linkys. I’ve linked up to most of these but a couple of new ones there that I’ll be sure to try out. I like that you get an opportunity to find new blogs that you might have otherwise missed out on. #TheList.